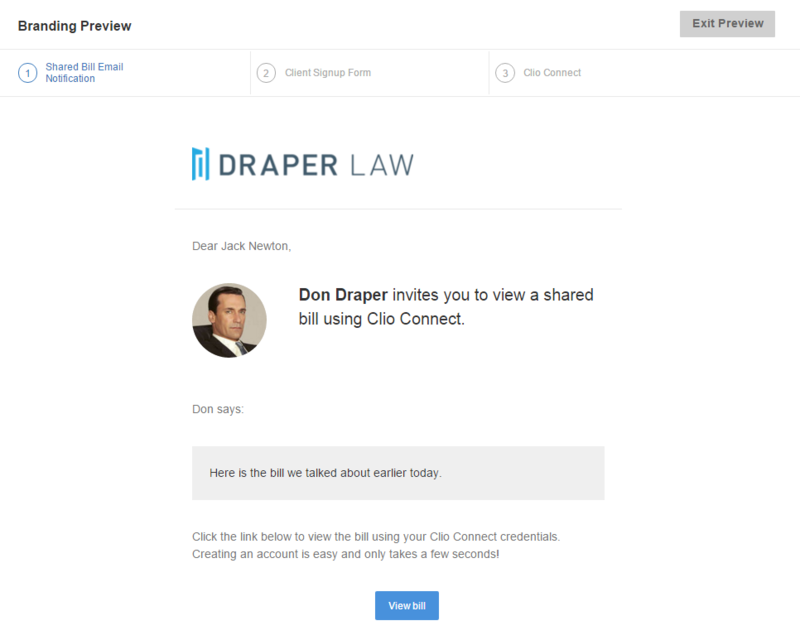 You are able to add your firm's name and logo to Clio Connect, customizing this client- or co-counsel-facing portal to reflect your firm's brand and image. Note: Reduce the white space around your logo in the image as much as possible before uploading if you wish to increase the visible size. To brand your Clio Connect portal and notifications, go to your Clio Settings and click on "Clio Connect & Sharing" in the Clio Settings column. 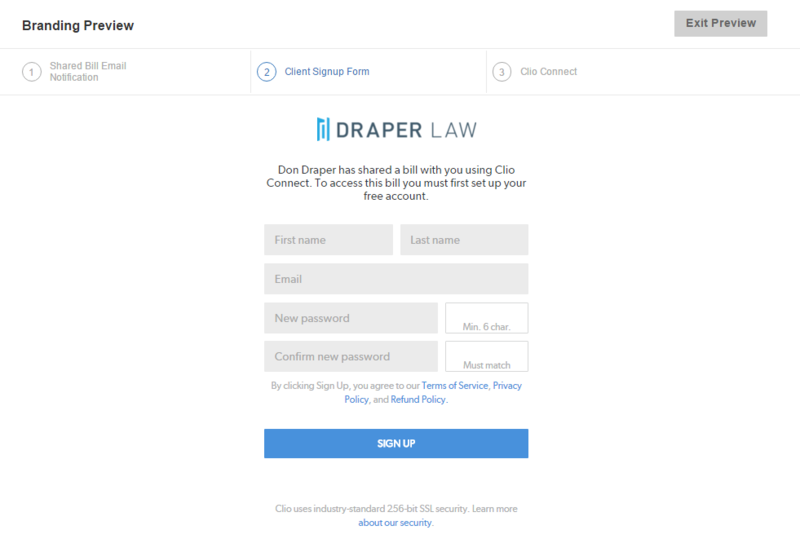 In the Clio Connect settings, you will be brought to the "Branding" tab. Under "Options", select the theme that you would like to enable: Firm name only, Logo only, or Logo and firm name. 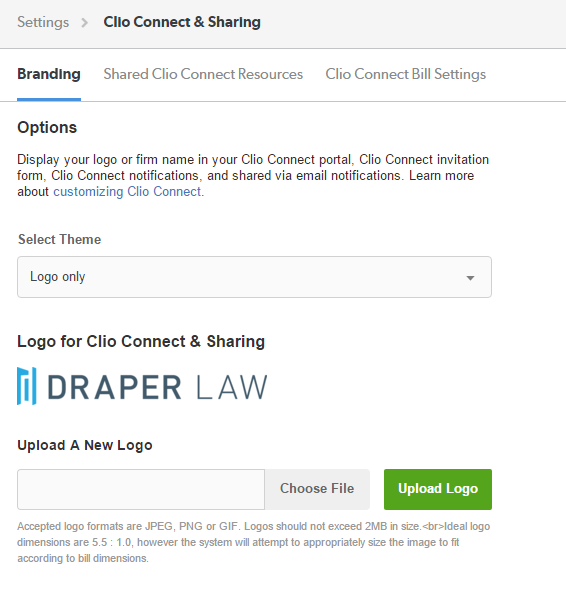 Below "Logo for Clio Connect & Sharing", you can update your firm logo if you would like it to appear in your branding.